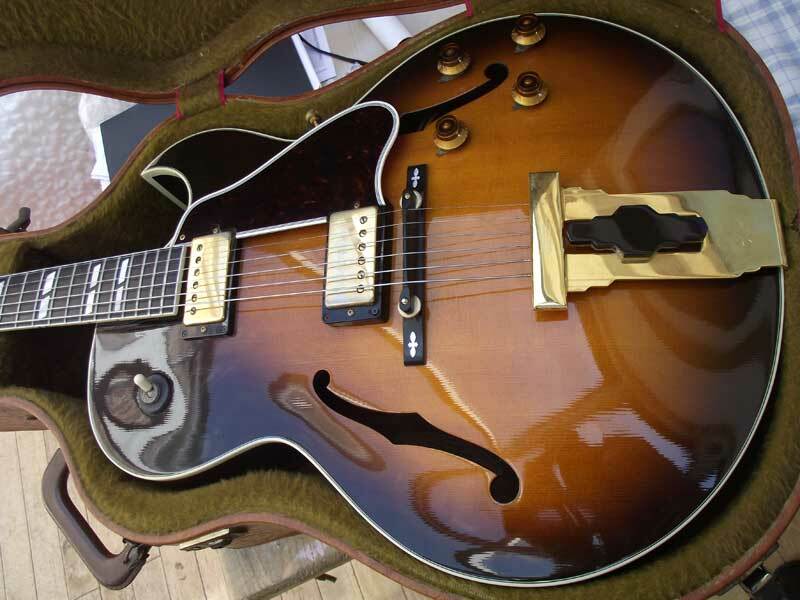 This beautiful 1989 Gibson L4 CES was brought in with a bad electrical buzz. I traced the buzz to a disconnected bridge earth wire which I reconnected. I noticed however that at some point early in its life the guitar had been rewired with different pots. The pots have solid shafts and whoever did the work thought it a good idea to glue the knobs to the pots! Who in their right mind would do such a thing to an expensive (or any) guitar is totally beyond me! Strangely, I have a 1989 L4-CES and had the neck pick-up replaced with a nice handmade Kent Armstrong jazz PAF type pickup, which is also coil tapped (the single coil option sounds great – less boomy). 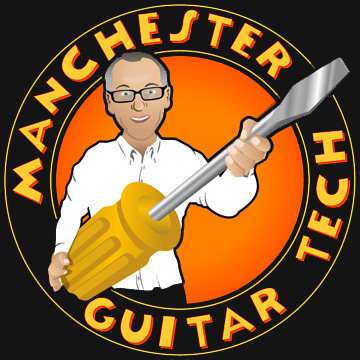 When the tech fitted the new pot for coil tapping, he also found that everything was glued on! I’m wondering if it was a Gibson way of doing things in 1989. The guy I bought the guitar off definitely wouldn’t have have had anything like that done to his guitar – and he owned it from 1989.